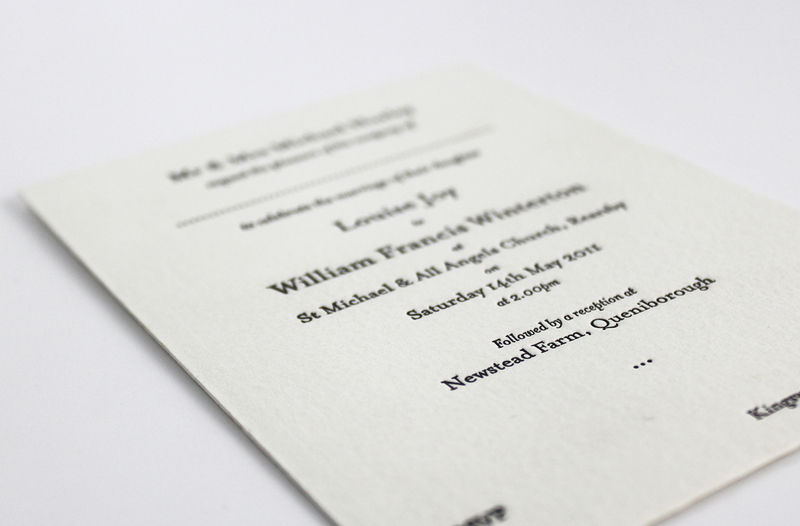 We offer a range of printing options from traditional letterpress and screen printing to state of the art digital and litho print. 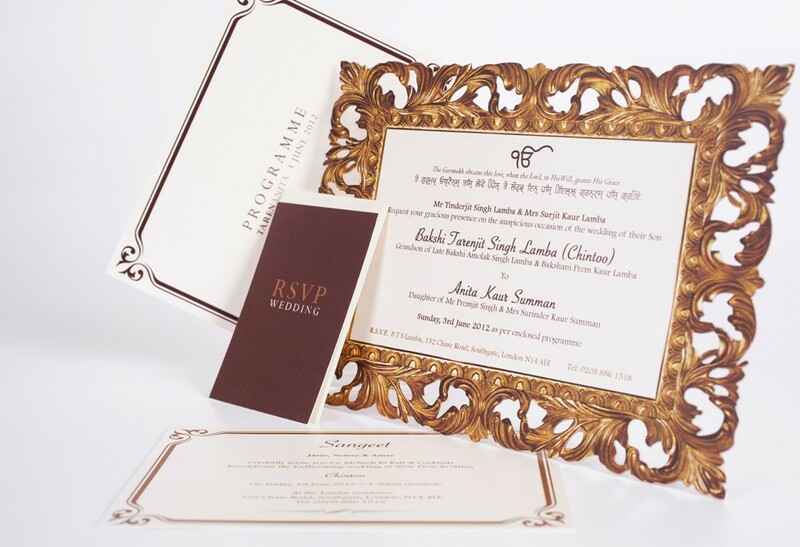 To add an additional wow factor, choose one or more of our stylish finishing touches. 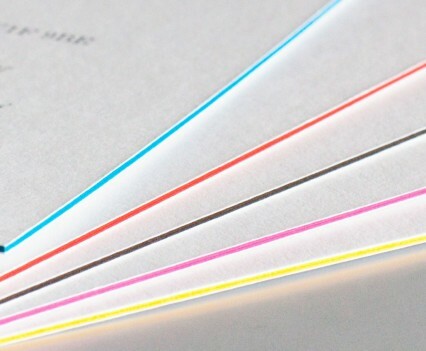 Click each heading for more information. 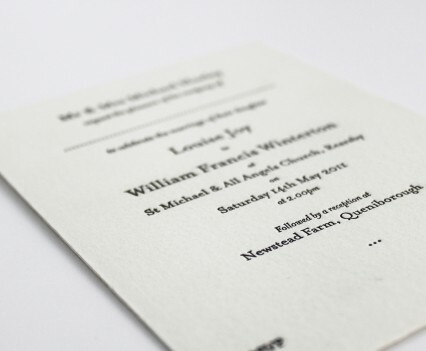 Dating back centuries, letterpress printing has seen a revival in an artisanal form. 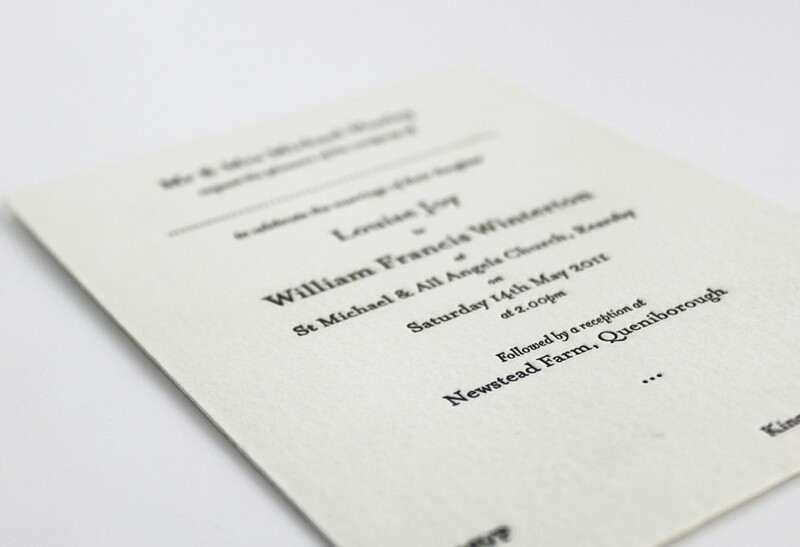 It is a highly specialised technique of relief printing using a printing press. 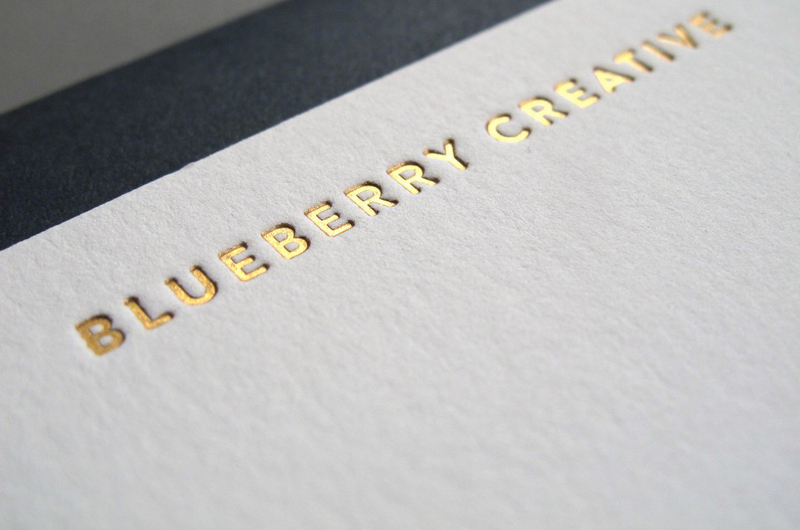 Foil blocking is used to add a metallic effect to your cards; often gold or silver, but other colours are available. 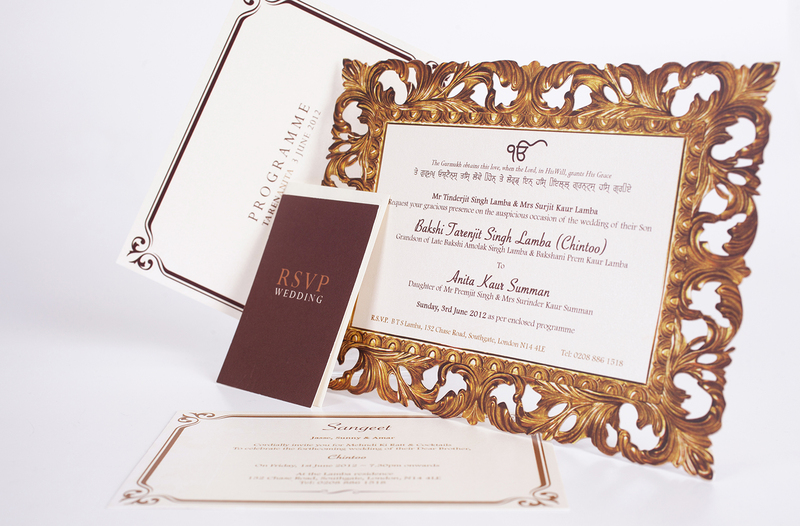 It can add a truly regal touch to your invitations. 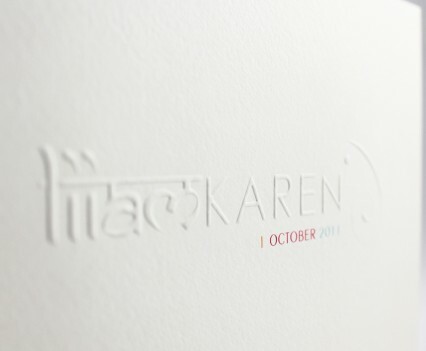 Embossing and debossing are used to create either raised or recessed relief images. 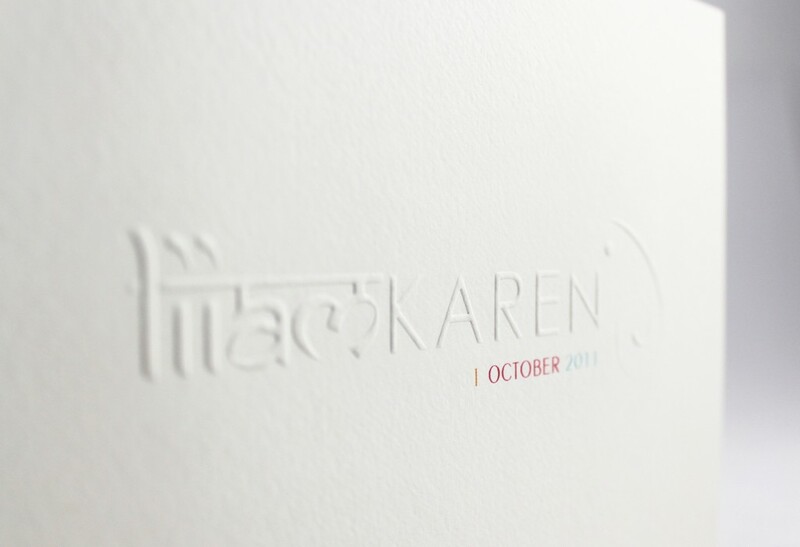 An embossed pattern is raised against the background, while a debossed pattern is sunken into the surface of the material. 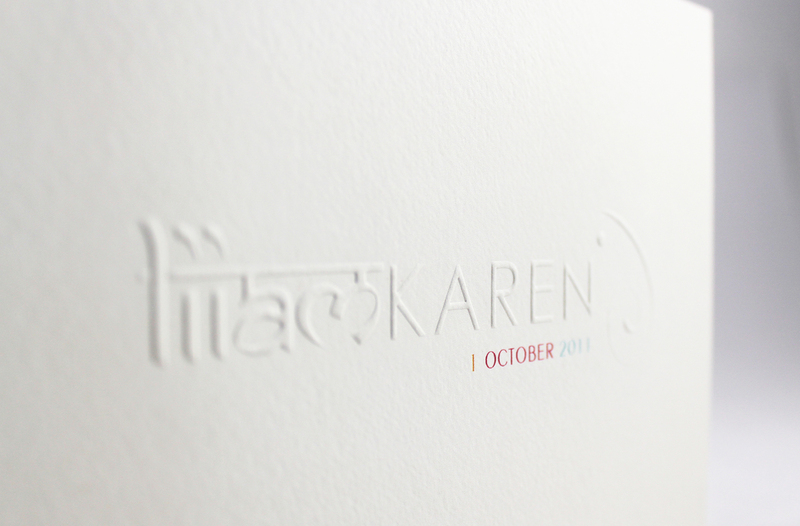 A special finish you can apply to specific areas of your invitation to make it shinier. 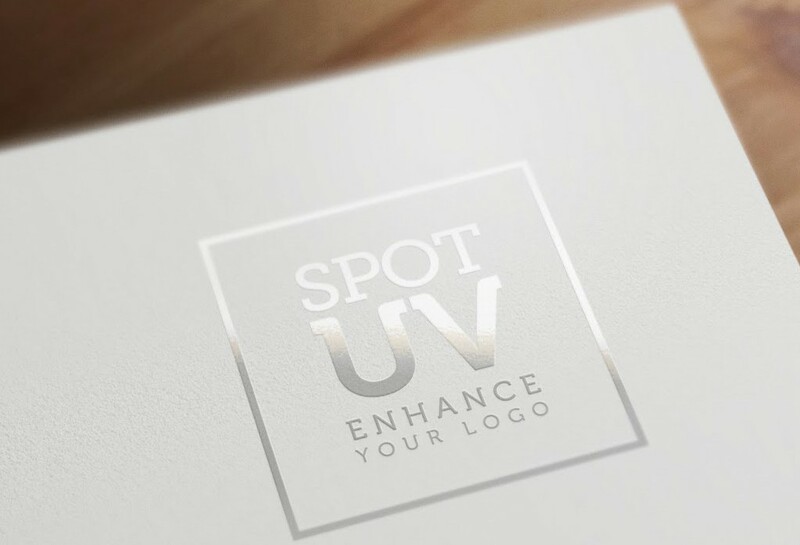 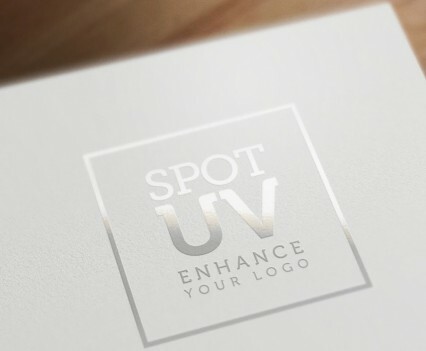 So, for example, you can apply the UV varnish to your logo, or perhaps some specific text to really make it pop. 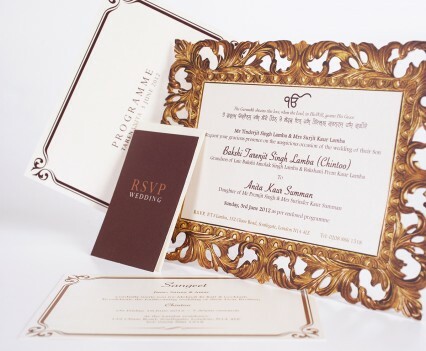 Laser cutting is used to create or cut out intricate shapes and patterns on your invitations. 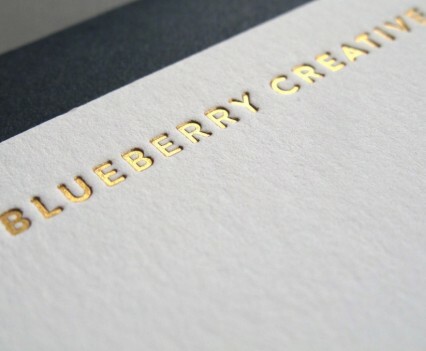 The laser cutter works by directing a high-powered laser beam very precisely at the chosen material to either etch the material or cut right through. 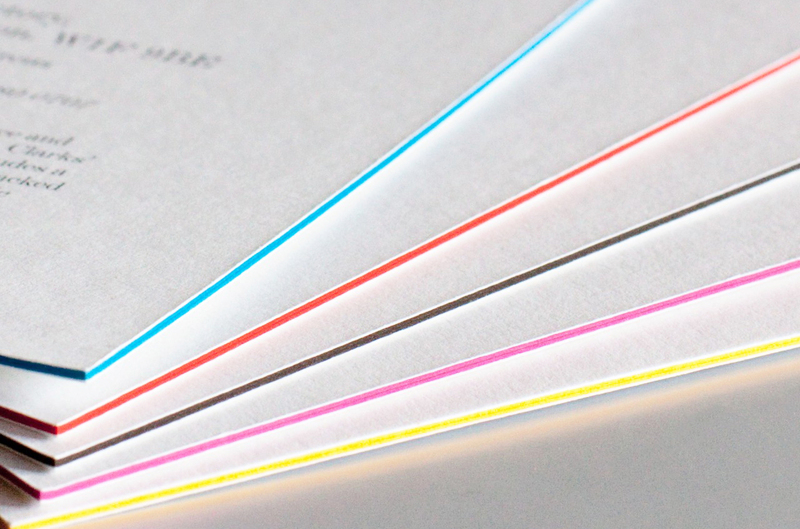 Duplexing or triplexing refers to gluing two or three sheets together respectively. 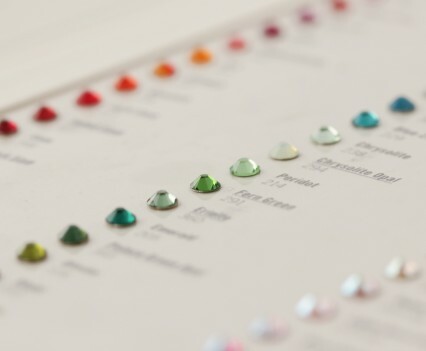 However, the process is not limited to this number of sheets and the possibilities are extensive. 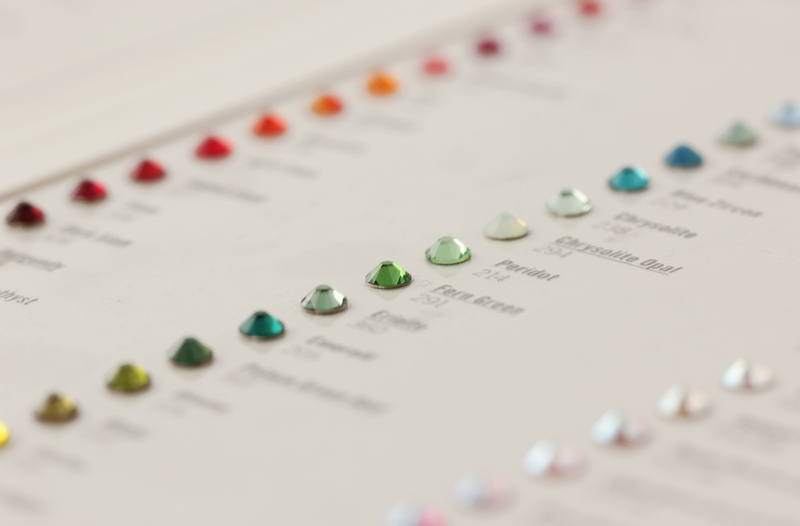 Colours, types and weights of materials can be combined to produce highly impressive results. 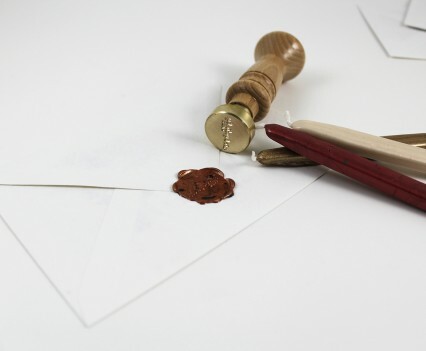 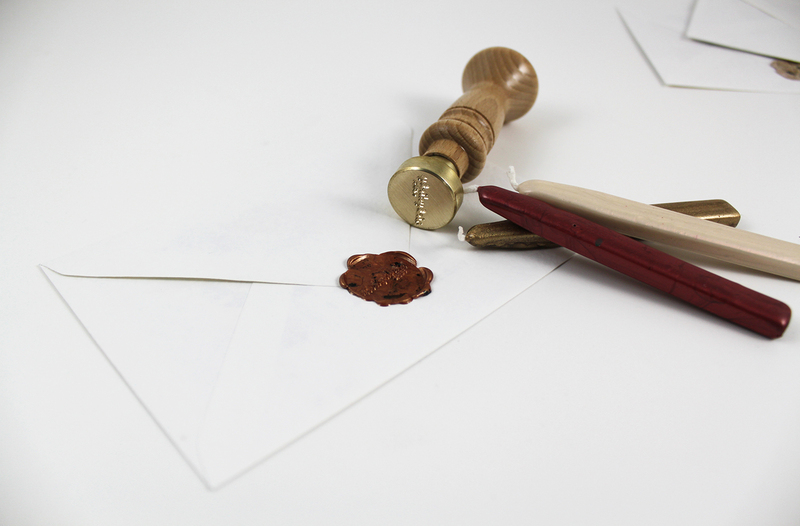 Add a touch of class and tradition to your invitations with our custom Wax Seal Kits. 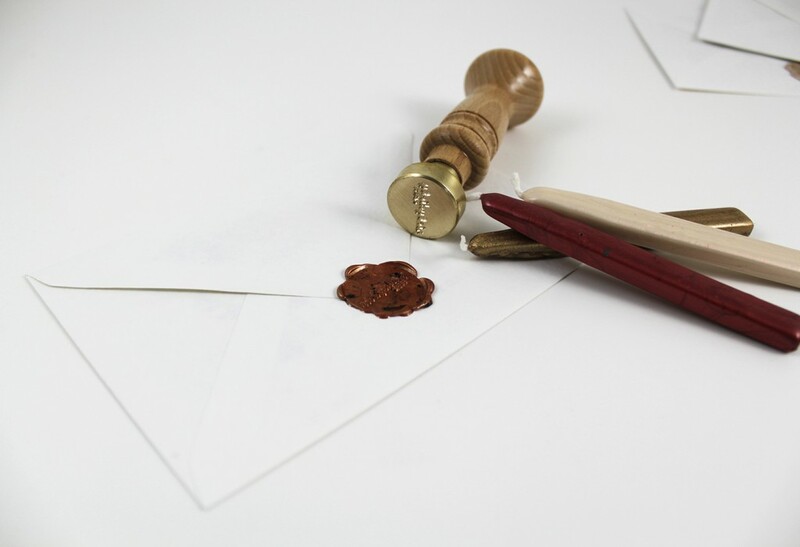 Included is your very own brass stamp, along with sealing wax sticks available in a variety of colours. 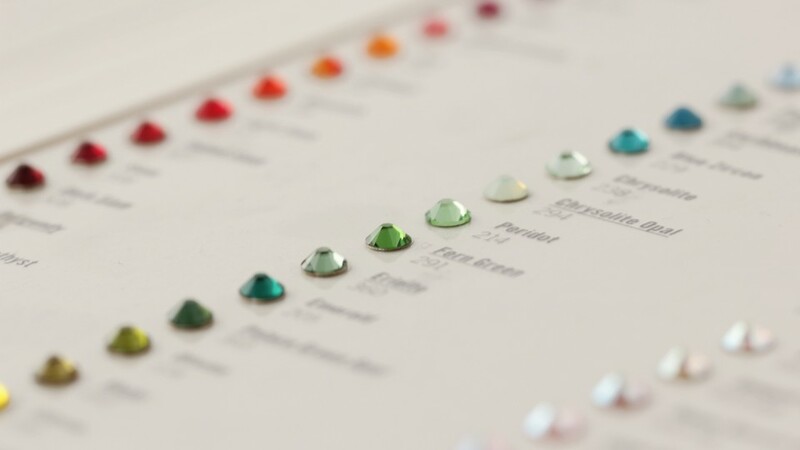 Add a touch of sparkle to your invitations by using Swarovski Crystals. 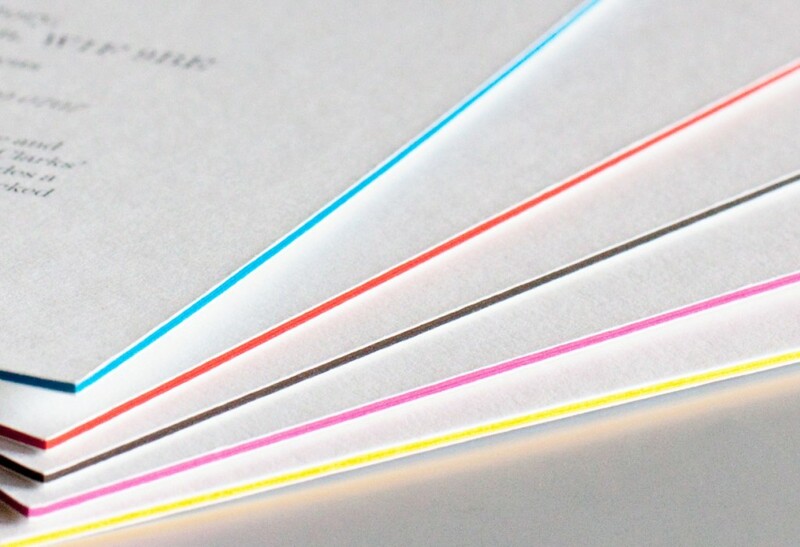 They are available in a large range of colours, sizes and shapes.